Many cars on the road are purchased regardless of true drive quality. Size and price enter into the equation pretty quickly, so does brand loyalty and quality assurance. But the average buyer isn’t looking for a car with brilliant power delivery, taut handling or silky transmission shifts. Every once and awhile, however, the public adopts a real performer in the automotive market, one that deserves the tremendous amount of attention it gets. 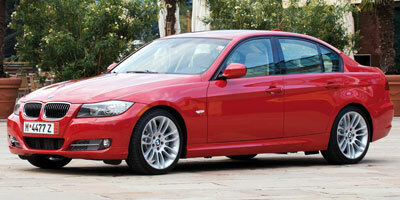 The BMW 328i is one such deserving car. It may be as ubiquitous as frozen yogurt shops in SoCal, but unlike them, the 3-Series isn’t some passing fad. Considered the benchmark for entry-level luxury cars, the midsize sedan is zeroing in on perfection. Its performance is consistently great – especially considering it’s the base BMW model – and interior styling never feels overdone. In typical BMW fashion, the latest technology features ooze out of the cabin too. Needless to say, if you’re delving into the luxury performance sedan market, the 328i should be your first shopping stop. The new iDrive system is vastly improved from the last generation, despite some deep menus and unintuitive functions. The shorter learning curve will keep frustration out of the cabin. Driving dynamics are near perfect, and interior styling – while on the utilitarian side – is endlessly well designed. Interior space is tight, especially in the rear seats, where taller passengers would be uncomfortable riding for long journeys. Storage is at a premium, thanks to a lack of good cubbies and a smallish trunk. Opting for the sport package will improve dynamics, but the damping is too hard for daily driving conditions. The sticker price on this German can quickly jump with a few add-ons; writing a check for over $40,000 isn’t a stretch of the imagination. The 328i may be the baby of the BMW family, but its driving capabilities are anything but immature. At 230 hp, it’s got 70 less ponies than the 335i – a difference you can’t hide – but that’s not to say its underpowered. Throttle response is dead-on and twisty corners are entered into comfortably thanks to top-notch handling that is rivaled only by Infiniti’s G37. Just shy of 3400 lbs, you can’t call the 328i a lightweight, though its mass is balanced well and body roll is quelled before it begins. Steering is quick to give feedback, well weighted and direct. As it’s a luxury sedan, you’ll be quick to note the quiet interior and minimal road and wind noise. Transmission shifts blend seamlessly to smooth out the ride, while bumps are softened by the forgiving suspension. Opt for the sport package and you’ll see tightened suspension that may be too stiff for everyday driving, feeling too crashy on city streets and losing some of the luxury feel to the ride. Though it’s a small price to pay for fantastic weekend jaunts along coast roads. A 3.0-liter six-cylinder DOHC engine delivers 230 horsepower and 200 lb-ft of torque and is mated to a standard six-speed manual or optional six-speed automatic with a paddle-shifter-equipped manual mode. While no auto meets the level of control found in a manual, this one comes pretty close. As you’d expect, the 328i is rear-wheel drive, though BMW does offer a pricier xDrive model if all-wheel drive is a requirement. Luxury and sportiness combine efficiently in the cabin area where a stop/start keyless ignition brings the car to life. Conveniences like rain-sensing windshield wipers, a tilting/telescoping steering wheel and eight-way adjustable seats are standard, while high-priced packages add extras such as cold weather features, leather seating and a surround-sound system. We’d recommend the Logic7 audio system with 13 speakers if music gets you through your day. The most significant technological change in the 328i can be found in the iDrive interface. A much-maligned system, updates see it stepping away from the forest of menus and unreachable functions of the last gen. The rear monitoring system is also worth a mention. Putting the car in reverse summons up an image of the car surrounded by red, yellow and green ‘warning’ zones on the navi screen. The areas become warmer colored the closer you get to an unseen object. The effect is similar to a hypercolor t-shirt reacting to your body heat, but the benefits are clear: when the warning system beeps, you know instantly where an obstacle is. Considering the rest of the moderately fuel-efficient group of sports-minded luxury cars, the ULEV emissions-rated 328i achieves a fairly average 18 mpg city and 28 on the highway with the manual. Those with the automatic transmission will net an extra mpg around town. Thoughts of gas savings will fade when factoring in the BMW’s premium unleaded preference. Supple, supported seating and minimalistic features are the mainstays of the 328i’s design. Some of the competition has gone the more elegant route, but the straightforward look echoes the no-nonsense mantra of the car. Heated front seats and fold down rear seats can be found with option boxes next to them. BMW has hit a sweet spot with its styling that continues to bring consumers over to the 3-Series. The blend of sportiness and luxury from the halogen headlamps to the 16-inch alloy wheels is apparent in the clean and rounded lines. Little touches like chrome-plated exhaust tips and door handle lights come standard too. A starting price of $33,600 for the 328i sedan and $36,500 for the coupe puts the BMW at the higher end of a very tightly priced class. On paper, you’ll start off close to the $32,250 Hyundai Genesis 3.8, $32,325 Lexus IS250, $33,050 Audi A4 2.0 TFSI and $32,900 Mercedes-Benz C300, but packages will boost the cost up significantly. Money has to be thrown down for random options that should be standard. Case in point: lumbar support only comes with the $3,350 premium package. If online personality tests routinely peg you as a ‘driving enthusiast’, then this is your car. If you hit the charts as anything less fanatic, you’ll still love the BMW 328i (just don’t lay down money for the sport package). Dynamically, the car is perfect for the base price, and styling, while not groundbreaking, is pleasing to the eye. Options can empty the wallet pretty quickly if a shopper gets overeager, something we don’t doubt will happen after the first test drive.